Congratulations to all Teams that participated in the Written Phase. Our 40 ELMC Judges have graded your pleadings following our double (and sometimes triple) blind grading process. Unfortunately only the 48 best Teams can qualify to plead during the 4 ELMC Regional Finals. Teams are mentionned in simple numerical order per RF. Take notice of the individual Role that you'll have to prepare for your RF. AG stands for Advocate General, CA stand for Commission's Agent. Moreover, please note that you are expected to plead as the Public Prosecutor’s Office of Illiberania being the Applicant and the Republic of Freedonia as being the Defendant. Please DO READ the Official ELMC Rules before finalising the three oral pleadings. Please, contact the Master of the Moot of your Regional Final ASAP in the following 72 hours. They will provide you all necessary practical information about your RF & the RF Registration document. Arrival on Thursday, Departure on Sunday. THE CASE HAS BEEN UPDATED WITH CORRECTIONS (§27 & 32) ON September 7th. The ELMC Rules shall apply to the Public Prosecutor’s Office as being the Applicant and to the Republic of Freedonia as being the Defendant. Next Season starts with the upload of the New ELMC Case on September 1st 2019 ! What is the Registration procedure ? - on November 25th, you submit by email the two written pleadings, that will be graded by our ELMC Judges following our Double Blind Assessment Procedure! 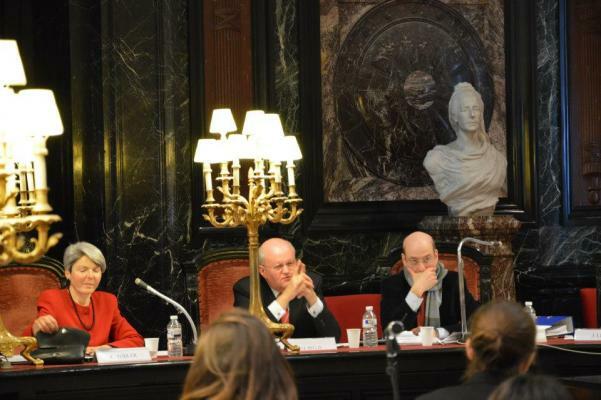 WHAT IS THE EUROPEAN LAW MOOT COURT ? The European Law Moot Court is an annual international competition which is held between University teams of students who have an interest in European Union Law. It is organized by the ELMC Society, founded in 1988. It is today considered as the most prestigious moot court within the field of European Union Law and one of the most important moot court competitions in the world. Participating can be a great Plus on your CV and for the reputation of your University, but most of all it is an once-in-a-lifetime Human & Professional experience. The case, as every year, is published on this website on September 1st. 80 to 100 student teams from European & USA Universities register and send us their applicant & defendant written pleadings until the end of November. Once the submissions are anonymized, the written pleadings are distributed to our ELMC Judges who carry out a double blind marking of the pleadings. The results of this written phase are published on our web site on January 15th. Every year, 48 teams -12 per Regional Final-, composed by 3 or 4 students and their Coach, designated only by their secret numbers, are qualified for the oral phase. 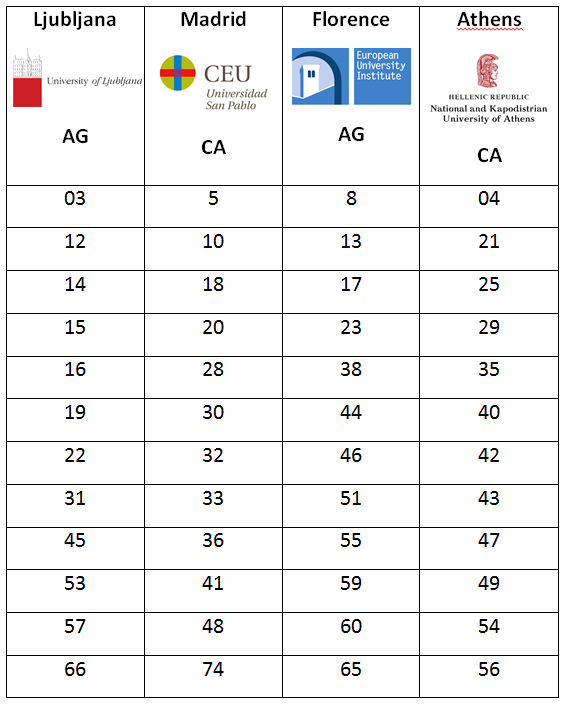 Four Regional Finals are held in European and US Universities over the four weekends of February. From Thursday afternoon to Sunday morning, students from dozens of nationalities face constant questions of our Judges. What better way to choose the best litigators, in substance and form, who will have the unique opportunity to plead before the real Judges of the Court of Justice of the European Union? 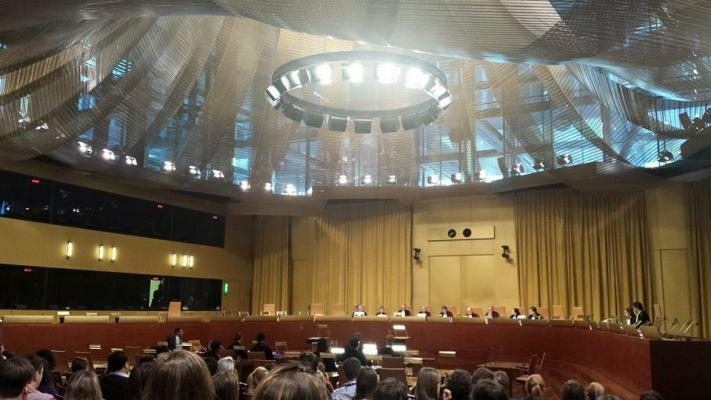 The Court of Justice of the European Union hosts the European Final of the European Law Moot Court on Friday, at the end of March beginning of April every year.